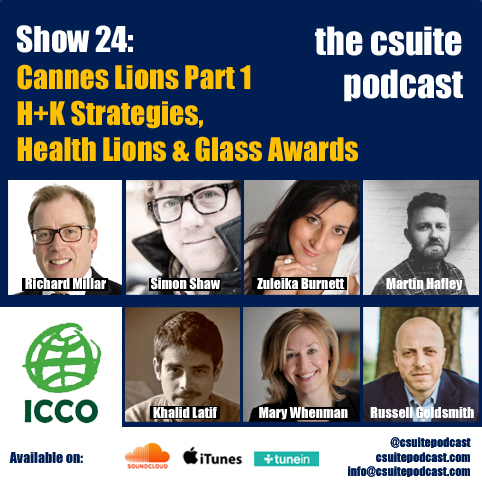 Show 25 continued the interviews from Cannes Lions. 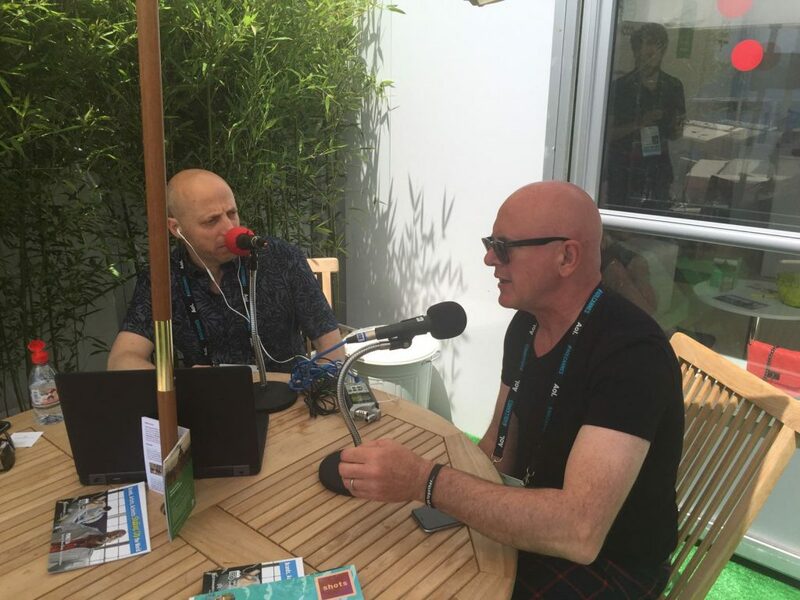 The main part of the show was discussing Influencer Marketing but in Part One, Russell Goldsmith was joined by Colin Byrne, CEO of Weber Shandwick UK & EMEA. This was Colin’s second appearance on the csuitepodcast, having previously been one of the guests on Show 8 discussing ‘The Social CEO’. Colin’s focus this year was to bring more of his younger creatives than senior people to Cannes Lions. He believes it’s a fantastic environment for young talent to meet other young talent and to look at trends that are driving change and innovation in the industry. The key part of the chat was about the challenges the PR industry faces in attracting the best talent. Whilst only five of 84 PR Lions were awarded to PR agencies, Colin said he has no issue with the fact that advertising agencies win in the PR category. In fact, he actually thinks that it’s great that he is up against some of the best creative minds in the world when competing for those awards. However, where he sees the bigger competition is for Talent. Traditionally, he believes that PR agencies’ approach for talent has been to steal each other’s staff but when you look at some of the work that was being presented at Cannes, he feels PR needs to recruit the kind of people who are currently going to work at Social Media Platforms or the World’s top Advertising and Digital Agencies. This was a topic that Fred Cook, CEO of GOLIN talked about too when we interviewed him at the World PR Forum in Toronto about his company’s ‘Unternship’ programme and Colin said he was a big fan of their approach. However, where the focus is for Colin’s company is on what he called their ‘Engagement Engine’. This is built around four pillars; Creative, Content, Social Media and Strategy & Insights. In virtually all of these areas, Weber are hiring people from other engagement focused industries such as Advertising or Digital and Social Agencies. They achieve this by talking their language and showing them that Weber are doing the kind of work that they would like to work on. Colin was hoping for success at Cannes with a campaign called House of Clicks for Hemnet by one of his group agencies Prime, based in Sweden. He said that this was a perfect case study of how to use Big Data to tell a story and to drive a client’s business. In fact, Colin didn’t think it had anything to do with traditional PR at all, but he believes Big Data belongs as much in PR as it does with any of the other agencies represented at Cannes. Cannes Lions 2016: The House of Clicks, Hemnet (Prime Stockholm) from MediaCat TVonVimeo. Prince talked about his journey in becoming a Spoken Word Artist to fronting Influencer Marketing campaigns for brands such as Chevrolet. Joining Prince Ea were Sean DallasKid, Partner for Content and Creative at Fleishman HillardSan Francisco and his colleague Miker Stovall who leads the creative team in their Dallas office. All three guests had just finished presenting in ICCO’s House of PR on the topic ‘Brands as Activists: Shaking Up The World’, which Sean explained was about how brands have to be truly authentic to resonate with their audiences and that partnering with like-minded artists and content creators is one of the best ways to provide the trust that is needed to achieve it. Prince Ea can be found across pretty much all social channels including Twitter and Instagram, but if you want to see him in action, visit his Facebook Page where he has over 3.6m likes or onYouTube where his videos have amassed over 66m views. Oprah, used the words “Powerful Message, Visionary Filmmaker” when describing him. Whilst he tries to inspire his audience with his work, Prince said that his own inspiration comes from people who embody love. He explained that we live in a world where everything is very material, where everything is resisting love, and so he believes that people who have the courage to become love and to speak love is beautiful. He used to be a fan of rappers like Jay Z and Eminem who he felt had amazing punchlines. However, when he started reading ancient texts and scriptures by Buddha as well as the Gita, he soon realised their ‘punchlines’ were even more powerful and so he is also inspired by wisdom and truth. Innovation and seeing people do things that have never been done before also inspires him. Prince now gets approached by lots of brands and agencies to collaborate, but they would have to have the same authenticity and integrity as his own brand for him to consider working together. The most important thing for him is synchronicity and alignment with the message and in fact in a lot of cases, it’s content that he would have produced even if a brand didn’t get behind it. This also means that the feedback he gets from his followers is very positive. The example that Miker showed in his presentation of where he has worked with Prince Ea was for Fleishman’s client Chevrolet in a campaign called #FuelYourHustle, as they were looking to partner with an artist who could inspire others to follow their passions, be successful and focus on what matters the most to them. Working with Social Influencers for Influencer Marketing can also work in a B2B environment too as Sean explained when he talked through a campaign he had produced for his technology client Avaya, which was all about Business Lingo. In this instance, they collaborated with YouTube content creators Tripp and Tyler to produce a really clever and funny video. What’s key in each of these examples, as indeed was discussed during our interview with UK YouTuber Hannah Witton in Show 12 of the csuitepodcast on the topic of the Influence of Social Talent, is to allow the artists the freedom to create the content themselves. However, as Sean explained, it takes trust with the client and artists for that to work. As quoted by Simon Sinekin his popular Ted Talk (below), Sean said that “people don’t buy what you do, they buy why you do it” and so that’s the power of working with content creators in that they are not [playing] a role but are themselves, creating content that is authentic to them and people want to buy into that authenticity because they care. According to Sean, that is the new reality. As for the future, Prince Ea wants to see more individualised approaches to technology and to content creators. He believes that it’s easy for technology to become a distraction. He questions whether the technology that we’re creating is truly progressing us forward as a species as he wants content creators and app developers to instil positive habits into people as opposed to addictive habits that make money off of people. He therefore hopes that the altruistic platforms develop and spread in the years to come. 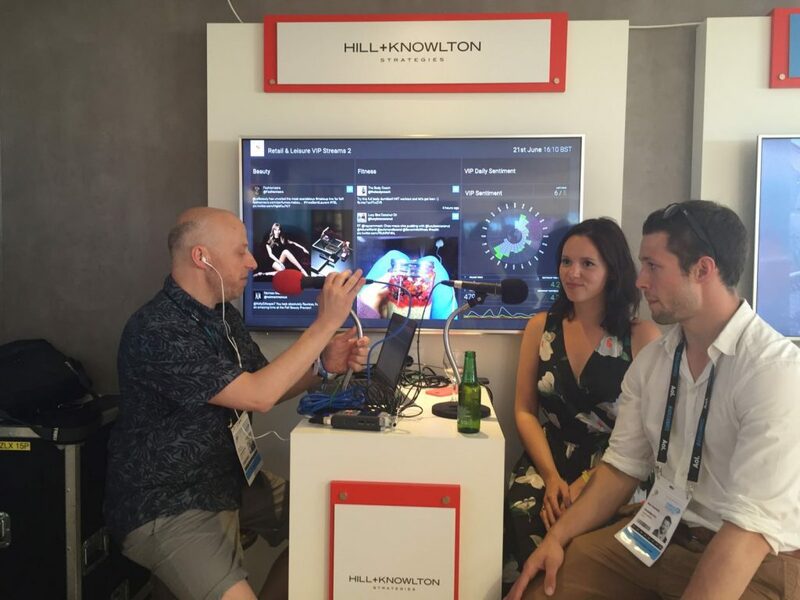 The final part of the show moved to the Haymarket Hive to chat to H+K Strategies’ Director of Content, Vikki Chowney and Ben Hackett of Brandwatch, who were there launching Sherlock+, the latest version of the partnership between their two companies. As Vikki explained, Sherlock+ is a series of customised dashboards across all sectors, covering 45 core topics. The platform allows them to apply data driven network analysis on top a list of the people who H+K believe to be the most important in those topics areas. This is a list that starts with who the team at H+K already know, based on their sector experience, which Vikki believes is a good gauge for a PR agency. This enables them to then look at an expanded community of influence rather than just an individual one, to see what content they share, how they talk to each other and what hash tags they use, all in real time, providing a constantly updated view of who are the most important people. Given Sherlock+ was only being launched at Cannes, Vikki explained how a previous iteration of the platform had helped Visa find out more about the people working in banks who were making the decisions on whether to work with Visa or not, how they make those decisions, who are they influenced by and what content they like. This helped Visa find new people that they might want to invite to an event, do some media activity with or simply have a meeting with and get them involved in some of the work they do from a corporate perspective. When asked how they are going to roll the platform out in other territories, Vikki said that that whilst they are starting with monitoring in just English, they are aiming to allow local offices to create their own language versions of it. This is crucial to its success if monitoring global campaigns. Translation and Localisaiton agency, Conversis, already works with clients translating discussions around products on social platforms such as NetBase, as the vast majority of people in each territory write and search in their own language. Google Trends actually has a great tool showing the most popular searches by language in some of the world’s largest cities. For example, in Berlin, 89% of Google searches are in German, 95% in Madrid are in Spanish and 93% in Paris are in French. But it is something many companies don’t take account of when planning their global web content and SEO strategy and is very relevant when searching on social discussions about brands. You certainly can’t rely on tools like Google Translate to get correct translations, let alone understand sentiment, especially when trying to understand the new language that social media has created with shortened words, hashtags and txt speak! If you are interested in getting involved in this series podcasts, whether as a guest or as a sponsor, please do get in touch using our contact form. Thanks go to the International Communications Consultancy Organisation who hosted us in their ‘House of PR’ Cabana on the beach front.